While it may be true that sedan sales are declining as SUVs and trucks take over the marketplace, Americans still bought millions of ‘em. The traditional family four-door is a ubiquitous sight on our roads and will continue to be so for years to come. We looked at sales data for the last five years to see which are the cars we’re buying. MIdsize and compacts are whomping the fullsize family sedan. Prices are lower for smaller models, and they’re cheaper to own and operate. If we do buy big cars, we like them with plenty of attitude and power. These are the sedans with the biggest sales over the last five years overall, by segment. We include the yearly totals so you can see the trends. The Dodge Charger may have four doors, but it definitely has a reputation as a muscle car. Improvements for 2019 include track-friendly chassis upgrades, an induction hood, race-bred seats, and other go-fast goodies on the GT and R/T models, hardly items necessary for a family sedan. 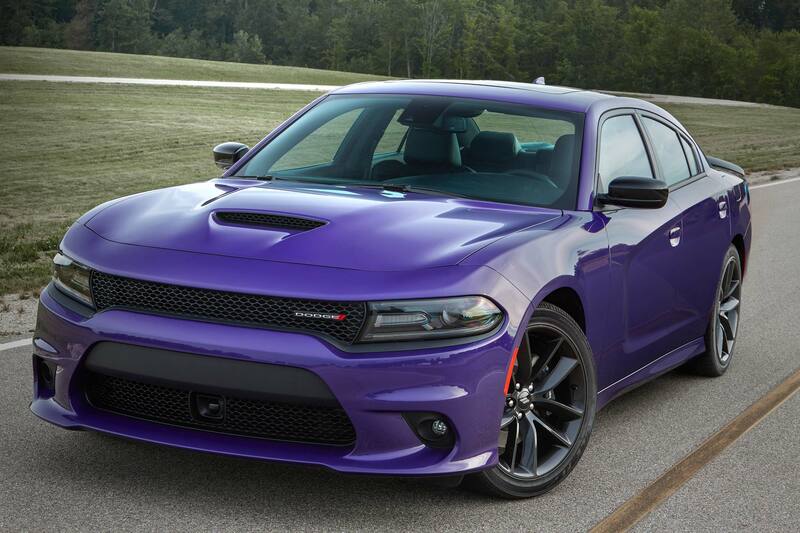 This focus on performance and attitude keeps the Charger fresh, desirable, and in the public eye. Base models are powered by a 3.6-liter with 292 or 300 horsepower, depending on trim. Moving up the trim ladder unleashes a stable of V8 engines: a 5.7-liter V8 with 370 horsepower, a 6.4-liter with 485, and the 6.2-liter supercharged Hellcat V8 with a mind-boggling 707 horses and 650 lb-ft on tap. A wide variety of trim offerings (currently nine) means that there is a Charger to fit any budget or whim. Even with a sporting reputation, base models start at $28,995, and well-equipped all-wheel drive versions with 300 horsepower and 8.4-inch connected infotainment are a reasonable $32,995. V8-powered Chargers start at $35,495. 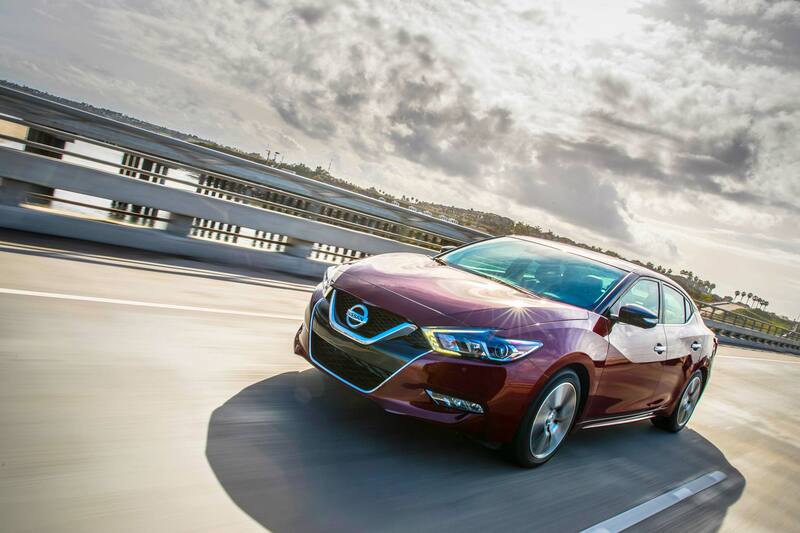 Buyers like the forward look and value pricing of the 300-horsepower, V6-powered Nissan Maxima. Even paired with a standard CVT, acceleration is an impressive zero-60 in six seconds. Nissan has added sport suspension and a proprietary shifting logic that allows rapid shifts at high throttle and detects high-G cornering, allowing for maximum smooth acceleration upon exit. The interior focuses on the driver and puts key controls in easy reach, such as fingertip display and command controls. Standard sport seats are heavily bolstered and power adjustable eight ways for the driver, four ways for the front passenger. Stepping up to the SL trim ($37,690) adds a panoramic moonroof to the mix, along with an 11-speaker Bose centerpoint sound system and advanced safety features. Leather appears on the SR ($38,530) and climate-controlled seats on the Platinum ($40,940) Apple CarPlay and Android Auto are standard across the model range. 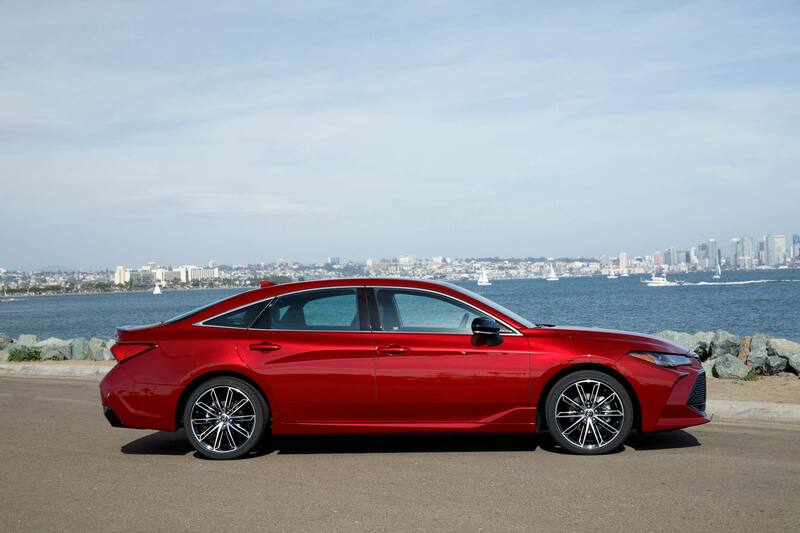 Toyota’s full-size Avalon has been a crowd favorite in the segment because of value for money, V6 power, and a stellar reputation for longevity. 2019 brings an all-new model that adds a dash of flair to the party. Four conventional models are currently offered, the XLE, Touring, and Limited, as well as the sporty XSE. The base XLE comes with a 301-horsepower V6, an enviable standard infotainment suite, and modern advanced safety features. Upper Touring and Limited models have—ye gods—a 1,200 watt JBL sound system powering 14 speakers. Hybrid variations of all but the Touring are just $1,000 more. Net system horsepower drops to 215, but the fuel economy is astounding: 43/43/43 (city/highway/combined MPG) for the XSE and Touring models, and 43/44/44 for the XLE. Toyota’s safety suite comes standard on all models, with pedestrian detection, lane keeping assist, automatic high beams, adaptive cruise control, automatic emergency braking with pedestrian detection, and blind spot monitoring with rear cross traffic alert. After years of “will they, won’t they” rumors, Ford has finally announced it will kill the Taurus. The 2019 model soldiers on unchanged from the 2018 version, which carried over from 2017, which was a repeat of 2016 . . . (yes, there were a few color and trim updates). Oddly, its declining status may actually be helping sales. As we reported previously, buyers can often find steeply discounted models at dealerships. We especially like the performance-oriented SHO model with its 350-horsepower turbo V6, though shoppers would do well to compare it to more modern vehicles from other competitors. Production of the Taurus will cease in March, 2019. 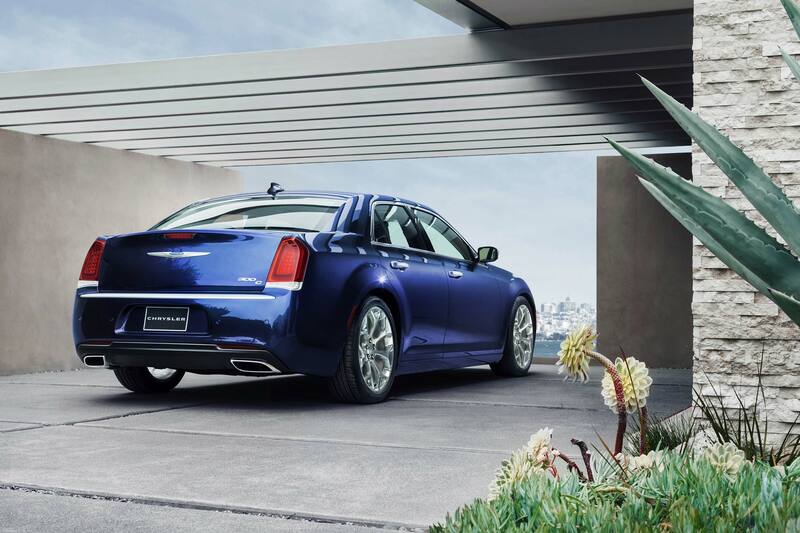 The combination of big style and big power in the Chrysler 300 has kept the model a staple in the large sedan segment since its introduction in 2005. 2018 brought a new naming convention, new amenities, and a power boost for the 300C model. Except for a change in wheel finish, the 2019 model carries on unchanged. Like the Chrysler Pacifica, the entry level 300 model is the Touring with cloth seats, 17-inch alloy wheels, and a 292-horsepower V6 mated to rear- or all-wheel drive. Amenities are quite good with dual-zone climate control and an 8.4-inch infotainment system. A 363-horsepower, 5.7-liter Hemi V8 backs up the attitude promised by the design and is available in the 300S ($36,295) and standard in the top-of-the-line 300C ($40,995). Up in that rarified trim level air, options like BeatsAudio for the 300S and Harman Kardon premium audio for the 300C become available, along with dual-pane sunroof, power sunshade, and navigation, depending on trim. 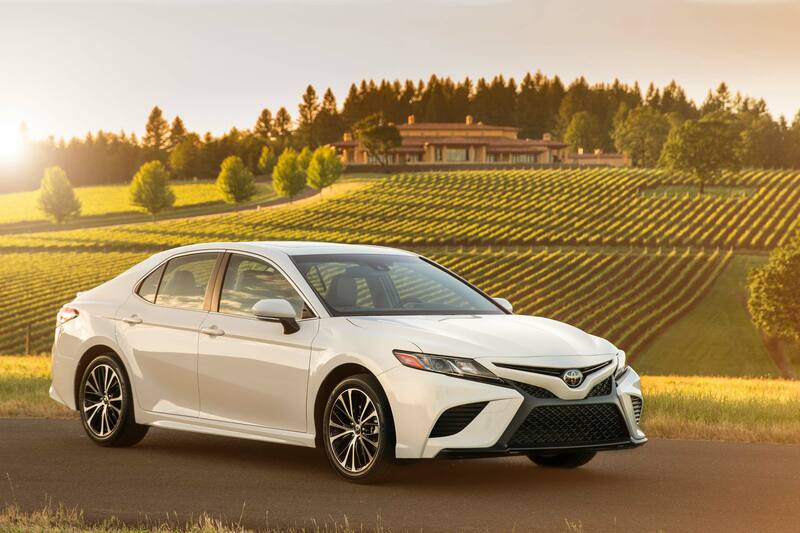 Long the haven of the safe and sensible dollar, the Toyota Camry built its reputation on reliability, low cost of ownership, great resale value, and overall value for money. Toyota has sold tens of millions of them over the years, and the model has been the best-selling car in America for the better part of two decades. As the current NASCAR champion, the Camry has a new swagger in its design and powertrain. Styling now approaches edgy and Toyota has paid attention to driving dynamics. The steering is noticeably brighter than previous models and body roll is nicely contained in turns. The chassis is involved with the driver. While it’s a far cry from a sports sedan, there is finally fun to be had. There are ten models to choose from, from plain Jane L with cloth seats and a peppy 184-horsepower four-cylinder, to the range-topping XLE V6 ($34,050) with 301 horses, a panoramic moonroof, and premium JBL audio. The Honda Accord has been around for 43 years and sold over 13 million copies, making it one of the long-running nameplates in American automotive history. The latest generation has a wheelbase stretched two inches compared to the previous model, and offers more room for passengers and cargo. A low cowl and thin A-pillars set back relative to the driver offer a forward view that is nearly panoramic. Standard power comes in the form of a delightful 1.5-liter turbo with 192 horsepower and 192 lb-ft of torque on tap. An optional 2.0-liter turbo offers 252 horsepower and 273 lb-ft. Both can even be paired with a six-speed manual transmission, a blessing to gearheads. The Accord Hybrid has 212 total system horsepower and starts at $25,100. The inside features thoroughly modern tech like an eight-inch touchscreen display, Apple CarPlay, Android Auto, wireless charging, and 4G LTE in-car wifi. Over five million Nissan Altimas have been sold since the model’s introduction in 1992. Buyers have long appreciated the value for money, economy, and reliability. The newest models offer something their predecessors were not known for, though: style and sophistication. Exterior design clearly says “Nissan.” The interiors are crisp, with ample amenities in upper trim levels. Current 2018 models come with either four or six cylinders, with 179 or 270 horsepower, respectively. The all-new 2019 model, expected at dealerships this fall, comes standard with a new 2.5-liter four with 188 horsepower. In addition to the new longer, lower, and wider design, the big story for 2019 is the availability of a trick new variable-compression 2.0-liter turbo. The engine uses a multi-link setup to raise or lower the pistons’ reach, changing the compression ratio between 8:1 (for high performance) and 14:1 (for high efficiency). The new unit delivers 248 horsepower and 280 lb-ft of torque. 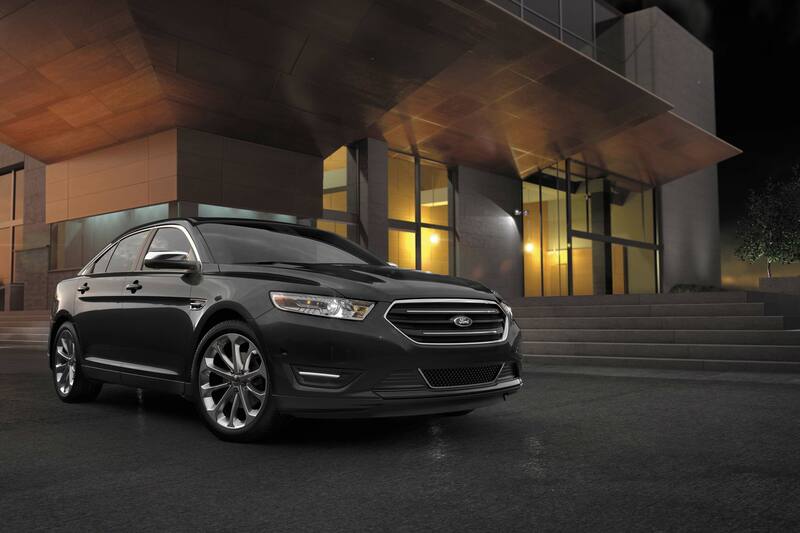 The Ford Fusion comes in an almost dizzying array of configurations. There are five standard grades and four engine choices. Front- or all-wheel drive is offered. In addition to a hybrid drivetrain, there’s also a plug-in hybrid version. The base S model comes with a 175 horsepower, naturally-aspirated four cylinder paired with front wheel drive only. SE and SEL models come standard with a 1.5-liter, 181 horsepower turbo and front-wheel drive, with the option of a 245-horsepower 2.0-liter with all-wheel drive. The Titanium model comes standard with the 2.0 and AWD, while the V6 Sport has a 325-horsepower. 2.7-liter V6 and AWD. Hybrid models comes in SE, SEL, and Titanium grades, while the Energi plug-in hybrid is Titanium only. For 2019, all models debut new standard drivers assist technologies: automatic high beams, blind spot information, lane keeping assist, rear backup camera, and automatic emergency braking with pedestrian detection. Adaptive cruise control with a stop-and-go function for traffic is optional. The latest generation of Chevrolet Malibu wins buyers with its elegant sheetmetal and excellent ride. A 163-horsepower, 1.5-liter turbo paired with a continuously-variable transmission is standard for 2019 on all trim levels but the Premier and Hybrid. The Premier ($31,985) steps up to a 2.0-liter turbo with 250 horsepower and a nine-speed automatic. The Hybrid ($28,795) gets up to 46 mpg in the combined cycle and features Chevrolet’s first application of Exhaust Gas Heat Recovery, which uses exhaust heat to warm the engine and cabin, improving efficiency. The Malibu has a new front and rear on the outside for 2019, and now features an 8.0-inch reconfigurable color driver information center and 8.0-inch touchscreen infotainment. Advanced safety features such as blind zone alert and rear cross traffic alert are only offered on LT grades ($26,095) and above, and active safety features like forward collision alert, lane keep assist, and automatic braking with pedestrian detection are only available on the Premier. 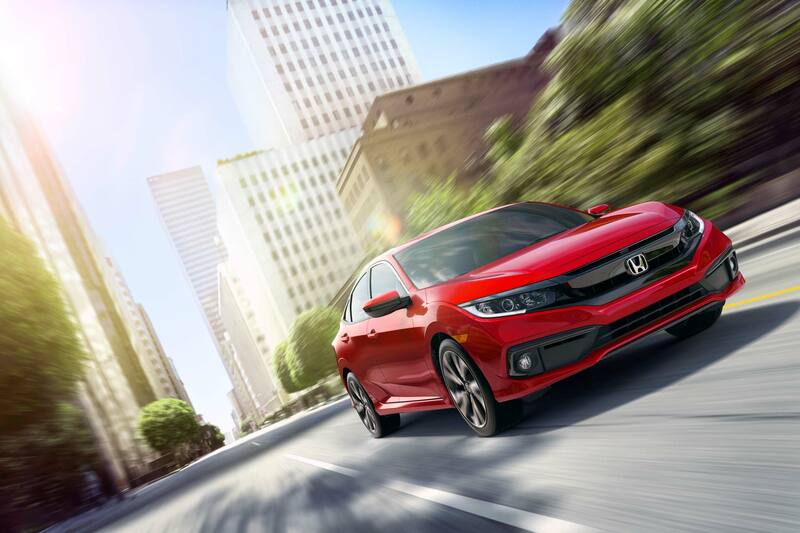 The latest generation Honda Civic is a crowd and critical favorite, engaging to drive, and well-appointed across the model range. The popular model has been refreshed for 2019 and looks a bit more upscale than before. Standard modern amenities like Apple CarPlay and Android Auto accent the thoughtfully laid out interior. We found driver’s controls and displays well placed and intuitive to use. The greenhouse is airy and the seats are comfortable, making store runs or road trips a breeze. Powering the lineup is a 2.0-liter, 158-horsepower naturally-aspirated four-cylinder or a 1.5-liter turbo with 174 horsepower on tap, depending on trim. The 2.0-liter is perfectly tractable and pleasant with ample power, but we found the 1.5 to be a delight. Honda’s safety suite is now standard on all sedans, and includes forward collision warning, lane departure warning, collision mitigation braking, road departure mitigation, lane keeping assist, and adaptive cruise control with low speed following. The Corolla has been a best buy for decades and has sold more than 43 million examples since 1966. For 53 years, the model has offered excellent value for money, unimpeachable reliability, low cost of ownership, and excellent resale value. The latest generation features rigid unibody construction that improves handling and allows the suspension to work efficiently. Noise reduction is built in and further enhanced by strategic use of insulation and acoustic glass. Though small, the Corolla makes the most of its interior space. Leg and headroom are generous for both front and rear passengers. A 1.8-liter engine under the hood produces 132 horsepower in all but one trim level, and is paired with a continuously-variable or manual transmission depending on grade. LE Eco models ($19,535) get a high-compression, 140-horsepower version that will do an EPA-estimated 40 mpg highway. 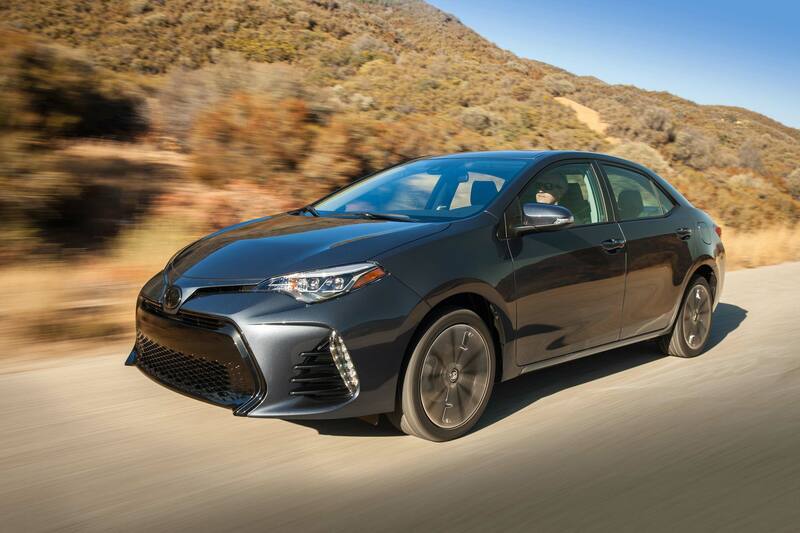 Toyota’s suite of safety features is standard on all Corollas and includes lane departure alert with steering assist, automatic high beams, dynamic cruise control, and a pre-collision system with pedestrian detection. The Hyundai Elantra gets good customer reviews for value pricing, high efficiency, and great reliability. The model gets a mid-cycle refresh for 2019 and should prove to be more popular than ever. In bare-bones base SE trim, the Elantra starts at just $17,100 with a manual transmission. The standard engine is a with a 147-horsepower 2.0-liter. A 1.4-liter turbo is offered in the Eco ($20,950). The manual transmission can also paired to a 1.6-liter turbo on the Sport model ($22,400). Standard infotainment is a 5.0-inch touchscreen with steering wheel audio controls and Bluetooth. Premium amenities are available in higher trim levels, such as Qi wireless charging, 8-inch multimedia navigation, Apple CarPlay, Android Auto, and Infinity premium audio. There are leather seats to be had, alloy pedals, and dual-zone climate control. On SEL trim ($19,400) and above, Hyundai’s safety suite is now standard and includes forward collision avoidance assist, lane keep assist, blind spot detection, rear cross traffic alert, and driver attention alert. The current generation of Nissan Sentra has been with us for five years and keeps buyers coming with value pricing and excellent economy. This is the recipe has kept the model going for more than 35 years. For 2019, Nissan offers the Sentra in four basic trim levels and two sporting ones. The base S model is cheap and cheerful transportation, and shares its 124-horsepower 1.8-liter four with the SV ($19,090), SR ($20,590), and SL models ($23,020). The base S can be had with a manual transmission; all the rest have a CVT as standard. The Sentra SR Turbo and Sentra NISMO share a 188-horsepower, 1.6-liter turbo four-cylinder engine. Both models feature a tuned suspension, reinforced body, and other performance accoutrements. All but the S model now come with Nissan’s connectivity suite featuring Apple CarPlay and Android Auto, Upper trim levels can opt for an 8.0-inch touchscreen infotainment system powering eight-speaker Bose premium audio. Chevy’s sporty Cruze has proven popular with buyers thanks to modern tech and amenities. The model is restyled for 2019 with a new front end, rear lighting, and wheels. A 153-horsepower, 1.4-liter turbo engine is standard and returns up to 39 or 40 mpg highway, depending on trim. The six-speed automatic is programmed brilliantly and feels relaxed and refined. There’s plenty of torque, even at freeway speeds. A 1.6-liter turbodiesel can be ordered as well, and is an economy star: an estimated 47 mpg highway. Like its midsize Malibu stablemate, the compact Cruze rides like a big American car, ready and eager for the open road. The chassis, suspension, and powertrain work well together and leave driver and passengers refreshed. Seven-inch touchscreen infotainment is now standard equipment for 2019, along with Android Auto, Apple CarPlay, 4G LTE connectivity, and a built-in Wi-Fi hotspot.